Al Roker's early morning show on The Weather Channel is ending after six years. "Wake Up with Al" will go off the air on September 25, according to three sources briefed on the plan. Management of the channel, which is based in Atlanta, determined that the New York City production of the show was too costly. Staff members were told of the cancellation earlier this week. A spokeswoman for the channel declined to comment. It's unclear what will replace "Wake Up" from 5 to 7 a.m. ET weekdays. Roker and meteorologist Stephanie Abrams are the co-hosts. 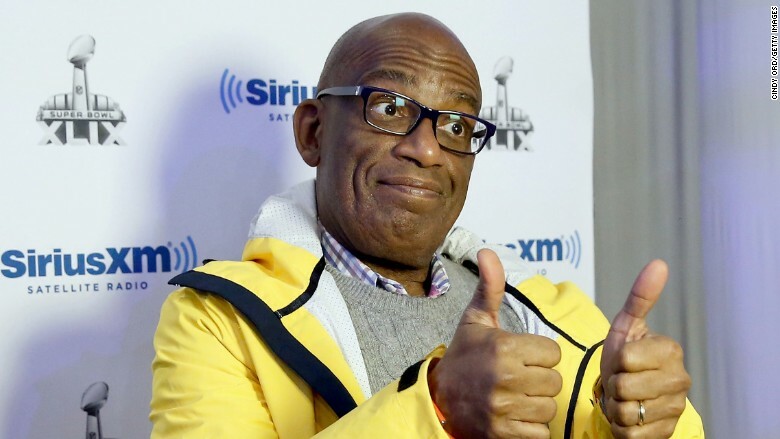 Roker, best known as the affable weatherman on NBC's "Today" show, may continue to appear on The Weather Channel, but not as a daily host. Roker wears a number of other hats — he has a production company, he writes books and he's been experimenting with shows on new social networks like Meerkat. Roker has been doing double duty on The Weather Channel and NBC ever since the summer of 2009. "Wake Up with Al" was an outgrowth of NBC's part-ownership of the channel, which took effect in 2008. Now NBC and the two other owners -- the private equity firms Bain Capital and Blackstone Group -- are looking to sell. There has been speculation inside the channel that the "Wake Up" cancellation is related to that, but the sources said it is actually a financial decision. "Wake Up" is the channel's only show that emanates out of New York, where production is particularly expensive.